« LanternCast Presents: Green Lantern: Pre-Birth #6 – The Spectre #5! This isn’t going to be an actual issue review, since Chad and I will do that once we get to the February books, but I wanted to write a few words about my reaction to Telos #5. While it is always good to see classic Parallax back and he looks really good in this issue, the way he is written continues to bother me. Jeff King wrote Parallax this way back in the final two issues of Convergence, but since Parallax wasn’t in those issues much, it wasn’t as big of a problem for me. But Telos #5 makes it pretty clear while King must like Parallax, he really doesn’t understand him. His Parallax is pretty much a petulant child who always acts out, constantly throws the simplest of insults out towards others, often is just a minute away from killing someone and seems incapable of thinking beyond the moment. If Zero Hour showed us anything, Parallax was certainly capable of thinking big picture. 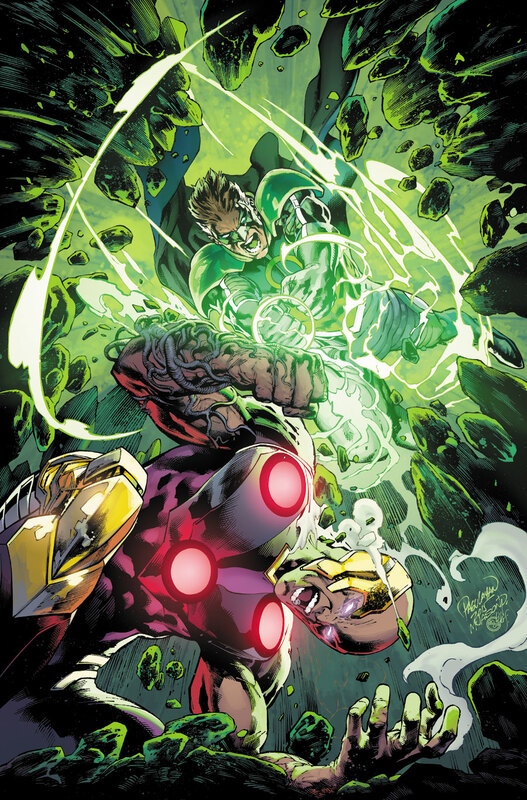 Parallax, while more unstable and volatile than Hal Jordan, still possessed all the strengths that made Hal a great character. He was able to cross the line when necessary, but was still driven by his amazing will and his desire to do the right thing, I have yet to see much of that in Parallax since his return to the DCU (Post-Covergence). Plus, this Parallax acts and talks like he is simply stupider than Hal Jordan. Hopefully Green Lantern #50 will give us at least a version of Parallax that closer resembles the original. I definitely don’t expect Telos #6 to deliver that based on what I just read.